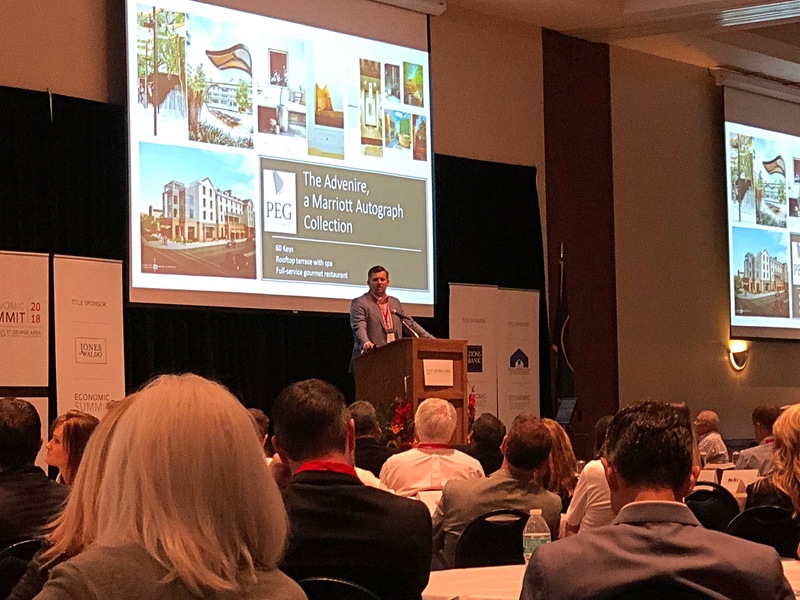 ST. GEORGE — Hundreds of businessmen and women flocked to the St. George Area Economic Summit Thursday for this year’s What’s Up Down South presentation highlighting companies and projects that demonstrate Washington County’s evolving economy. Washington City has been actively working to bring more commercial development into the city for years and considers the area off Interstate 15 Exit 13 and along Washington Parkway to be a prime location to for its “experienced-based project” called Grapevine Crossing, Washington City Councilman Troy Belliston said. The city currently has roughly 280 acres that are zoned commercial in and around Exit 13. 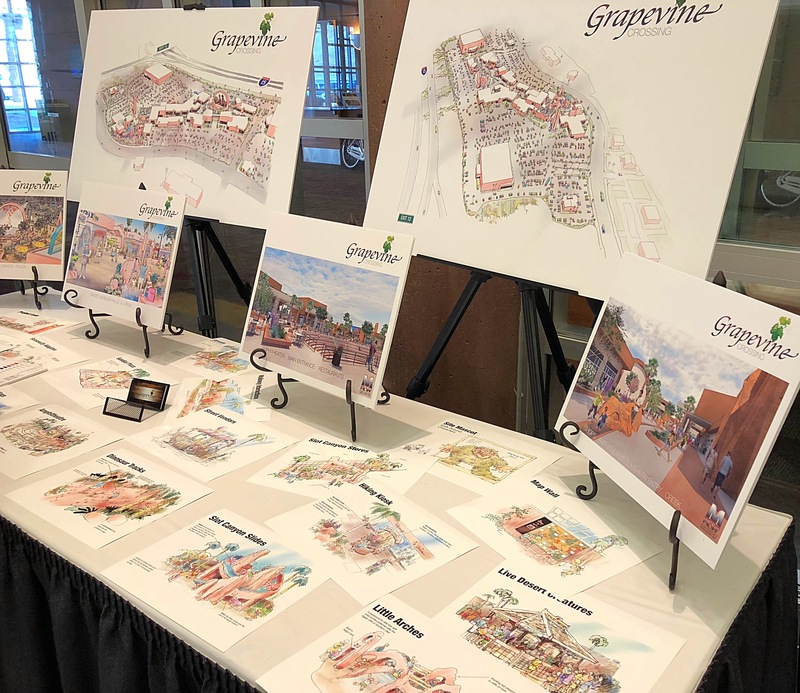 The city is planning a variety of interactive elements for the shops area of Grapevine Crossing, including an amphitheater, dinosaur tracks, a desert tortoise exhibit, multifunction buildings, parks, street vendors, retail shopping and restaurants. Our project sets the stage for your family’s experiences, and we mean that. That drives the design, that drives the construction (and) that drives the businesses that we pursue. 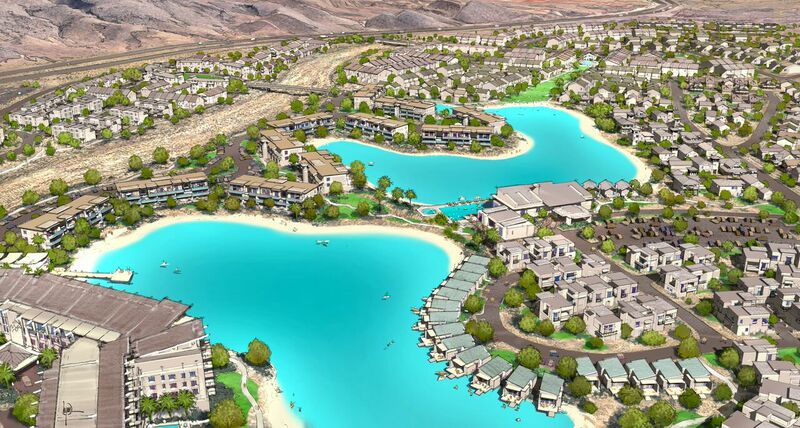 Plans for a new master-planned community in St. George, which will comprise 10,000 new residences, were also unveiled Thursday by Rhys Weaver, president and COO of Clyde Companies. Desert Color will be among the largest ever master-planned developments in Utah, Weaver said, and will be divided into four main land-use districts: mixed-use commercial, recreation, resort and residential. 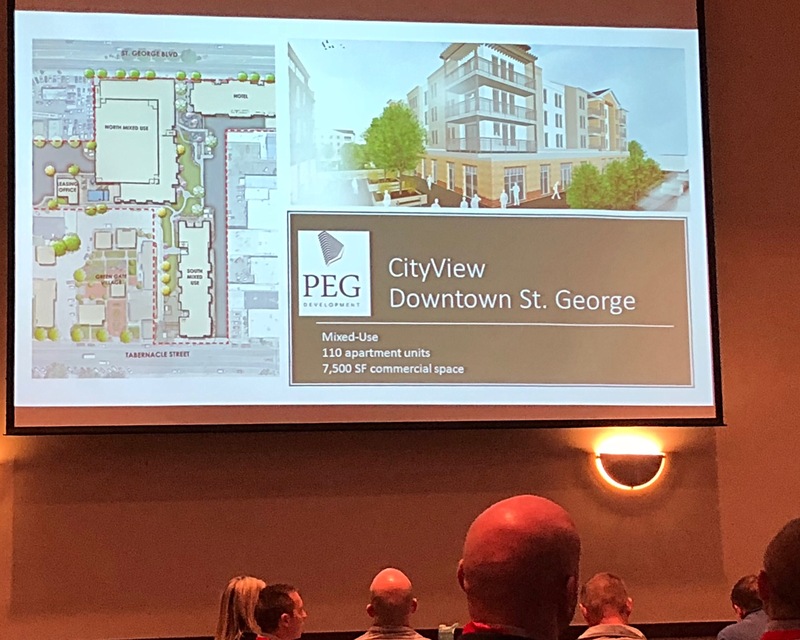 A redevelopment project proposed for downtown St. George called CityView is underway and is slated to bring a mix of commercial and residential space to the heart of the downtown area, Cameron Gunter, CEO of PEG Development, said. The project is located on the block between Main Street, St. George Boulevard, 100 West Street and Tabernacle Street. “We’re so appreciative of St. George city for partnering up with this and some of the things we’re doing, especially the power by placing that underground and cleaning up the area,” Gunter said. A four-story, 60-room boutique hotel called The Advenire, a Marriott Autograph Collection, will go on the corner of Main Street and St. George Boulevard next to the Bear Paw diner. The hotel will feature a rooftop terrace with spa and full-service gourmet restaurant. This is a small property, which Autograph has not done a small property like this, but we’ve been able to convince them that this is the place to do an Autograph. The outside of the hotel has been designed as a replica of the Snow House – one of the older buildings in the community that was torn down. Sitting on the west side of the hotel will be a four-story, mixed-use building with 10,000 square feet of commercial space on the bottom and 110 apartment units on the top floor. Parking for the businesses and apartments will be underground. Set between the buildings will be a public park area that will tie into the Green Gate Village. Perhaps the planned water park might be better situated by exit 13 rather than the over used Green Springs exit. As always, the greed of the area’s “business leaders” (read, “people who don’t give a hoot about this community except to the extent they can make money off of it”) is going to destroy yet another charming American town. All this recent talk of growth has been helpful to me, at least to the extent that I know I can’t settle in here now. Hopefully no one around here will be too angry with me, but since all thought of preserving this beautiful town is out the window, I will be renting out my house here when I buy elsewhere. I imagine most smart folks will. The fast-dissipating charm of St. George will certainly still be marketable for at least a decade after the community becomes an unlivable sprawl. I’ve been tossing around the idea of leaving this town. I just compare the traffic now to when i got hear a few years ago. It’s really insane. What this place is becoming is not desirable. When the air quality starts going to **** we’ll know the place is ruined for good. From the Snow Canyon area looking south I can occasionally see what looks like an inversion cloud. I’ve lived here for 14 years and this has developed only over the past two years. Perhaps you should move. btw Pretty much no matter where we move eventually there will be growth and there will always be people like you who think you scan move and change an area, but, forbid others should. Growth goes on everywhere, and everywhere live NIMBYs . Oh, and as long as we give our power over to government, it will only get worse. As long as we’re money grubbing, would love to see Arizona line the southern border with liquor stores, strip clubs and lotto outlets to benefit future generations! And where o where are people going to work? I’d really like to see St. George stay small and quiet. Plenty of other areas of the state that can be developed. We’re full, no vacancy. Well it’s time to move down the road to Kanab. If you’re gonna have kids you can’t complain about new development and growth. I am not… I think it would be very irresponsible of me to have kids considering I am in an area that gives them no options for career level employment. This area is a bubble and not a healthy one, too many crony LDS business leaders engaging in rigged crony capitalism, nepotism, and other things that actually translate more closely to socialism and communism from an economic point of view. Your wage floor and ceiling are tight and flat…. that is what happens with crony capitalism, socialism and communism! Very disturbing that this area in particular never learned the lesson they needed to learn from the crash of 2008. The locations nationally that suffered the most were area’s that lacked true economic diversity and had very little industrial or economic diversity. St. George has growth indexed to nothing but growth itself…. We have crony leaders that are afraid to bring in business for fear their own business interests(and crony buddies) would have to compete wage wise. These guys didn’t pay attention and are not true capitalists. They would cheat to enter the special olympics and brag about their win… they fail to understand and love competition and the value of it to push overall market liquidity that can be captured by ALL as well as push you in your own business to innovate, differentiate, and ultimately serve your customer better. Next step, homeless people under the freeway. More growth, higher cost of living, and low wages, increase homelessness. It doesn’t take an economics degree to see that coming.